i just had a bath with fresh orange peels and loose leaf peppermint tea. i thought that it might be helpful for breathing and wintery cold. it was poetic but a little noisy. 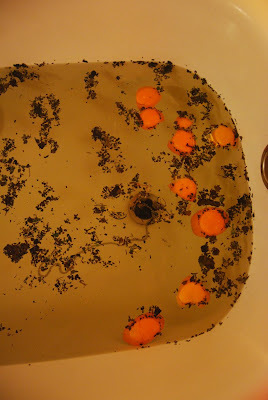 tomorrow i think i will try chamomile flowers and ginger for a quieter warmer bath. haha.